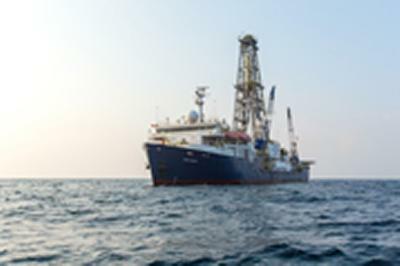 A release of carbon dioxide from the deep ocean helped bring an end to the last Ice Age, according to new research led by the University of Southampton. Atmospheric CO2 levels fluctuate from about 185 parts-per-million (ppm) during ice ages, to around 280 ppm during warmer periods like today (termed interglacials). The oceans currently contain approximately 60 times more carbon than the atmosphere and that carbon can exchange rapidly (from a geological perspective) between these two systems (atmosphere-ocean). Joint lead author Dr Miguel Martínez-Botí, from the University of Southampton, says: “The magnitude and rapidity of the swings in atmospheric CO2 across the ice age cycles suggests that changes in ocean carbon storage are important drivers of natural atmospheric CO2 variations. The international team including academics from the University of Southampton, the Autonomous University of Barcelona and the Australian National University, studied the composition of the calcium carbonate shells of ancient marine organisms that inhabited the surface of the ocean thousands of years ago in order to trace its carbon content. Joint lead author Dr Gianluca Marino, from the Australian National University and previously at the Autonomous University of Barcelona, adds: “We found that very high concentrations of dissolved CO2 in surface waters of the Southern Atlantic Ocean and the eastern equatorial Pacific coincided with the rises in atmospheric CO2 at the end of the last ice age, suggesting that these regions acted as sources of CO2 to the atmosphere. Co-author Dr Gavin Foster from the University of Southampton comments: “Just like the way the oceans have stored around 30 per cent of humanity’s fossil fuel emissions over the last 100 years or so, our new data confirms that natural variations in atmospheric CO2 between ice ages and warm interglacials are driven largely by changes in the amount of carbon stored in our oceans.